Air India is on the brink of defaulting on bank loan repayments, so the aviation ministry has sought Rs 500 crore from the finance ministry on an urgent basis. Since the failed disinvestment attempt in May, the Maharajah has been scrambling for cash. The buzz earlier was that Air India had asked for a Rs 30,000 crore fund infusion plan - after the Civil Aviation Ministry reportedly sought Rs 11,000-crore bailout package for the beleaguered airline. But post rejection from the government, at least on the former, the national carrier is now in dire straits and in urgent need of a cash infusion. 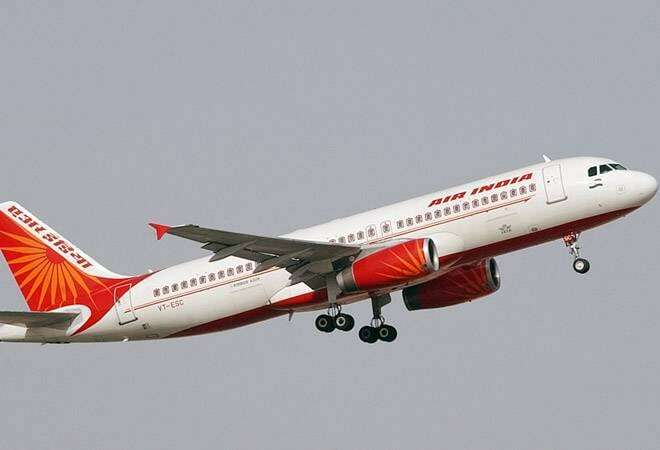 According to The Economic Times, Air India is on the brink of defaulting on bank loan repayments, so the aviation ministry has sought Rs 500 crore from the finance ministry on an urgent basis. "A letter has been sent (to FinMin) to release the money in the interim so that payments can be made to banks," an aviation ministry official told the daily. In the current financial year, the airline has already received an equity infusion of Rs 650 crore up to June. In addition to this aid sought from the North Block, the airline is raising a Rs 1,500 crore short-term loan from the Bank of Baroda. According to Air India officials, a large chunk of this bank loan will go towards servicing the airline's international liabilities, which are on sovereign guarantee, as well as salaries and other expenditure. So there won't be enough left over to meet bank liabilities. After all, the airline boasts a total debt of over Rs 48,000 crore and reportedly has to pay around Rs 4,000-5,000 crore as outgo interest per year. The good news is that bankers have not classified this loan as a non-productive asset, although the account is certainly showing some signs of stress. Some Air India loans are reportedly now in SMA1 and SMA2 categories but the asset has not seen any fresh deterioration. According to RBI rules, defaults on loan accounts have to be classified as special mention accounts, or SMA. For instance, accounts with principal, interest or any payment overdue for a period between one and 30 days are classified under SMA-0 category. The account is put under SMA-1 category if payment is overdue for 31 to 60 days, and under SMA-2 category if the non-payment period is between 61-90 days. Given that the airline continues to grapple with financial woes, including consecutive default on salary for the past five months and a delay in payment to vendors, ministry officials claim that the airline may actually need a bigger bailout plan. "After the divestment plan did not yield any result, Air India Specific Alternate Mechanism (AISAM) had decided to provide a bailout to Air India. The bailout plan is being discussed at various levels and no final decision has been taken yet," said another source. According to him, current thinking favours debt reduction through sale of assets instead of creating a special purpose vehicle (SPV) to house debt and assets, as was proposed in the original divestment plan. "Shifting assets into an SPV would attract a lot of taxes and stamp duty. Hence, this plan was put on hold and we decided we will sell assets without shifting them to an SPV," he added. But selling assets is easier said than done. On one hand, its loss-making engineering subsidiary is unlikely find takers, and on the other, selling its profit-making ground handling subsidiary would choke off a steady revenue source. Meanwhile, Air India is managing to stay afloat on the Rs 30,000 crore bailout package extended by the previous UPA regime in 2012 for a decade. Of that, the airline has received Rs 27,195 crore so far.